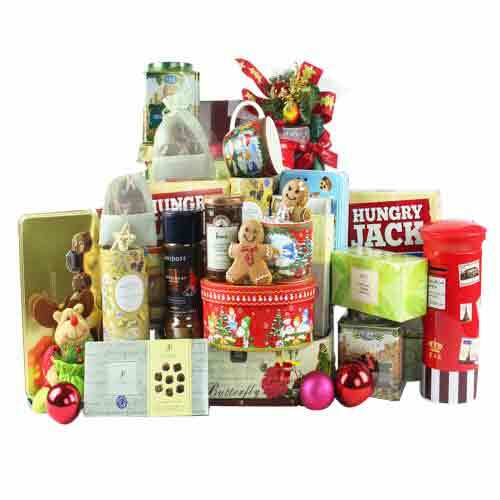 Description: Make the most of the moments special to your dear ones by sending them this Luscious Sweet Treat N Diwali Fun Gift Hamper for which they will never stop thanking you. 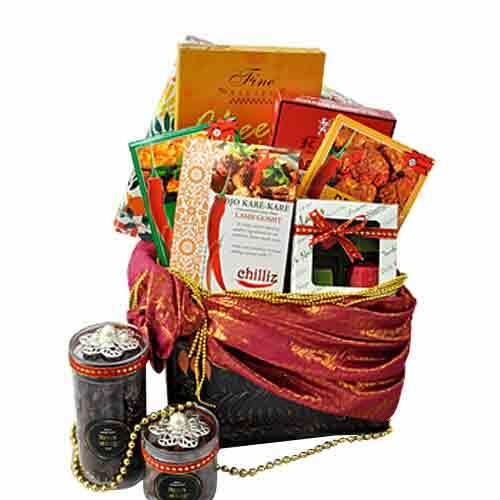 This beautiful Hamper is filled with Raspberry Harvest Biscuits - 130 gram, Fine Recipe Cheese Delight - 60 gram, Ross Cottage Mixed Cranberries N Blackcurrant - 298 gram, Mojo Kare-Kare Lamb Gosht - 200 gram, Chiliz Ayam Rendang Paste - 200 gram, Chiliz Asam Fish Paste - 200 gram, Toasted Turkish Walnut - 90 gram and Assorted Coconut Candies - 78 gram. 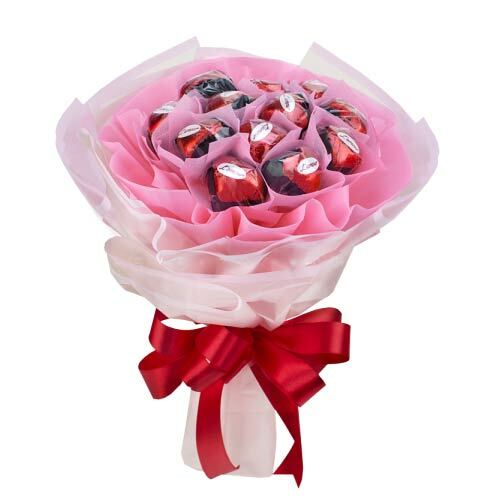 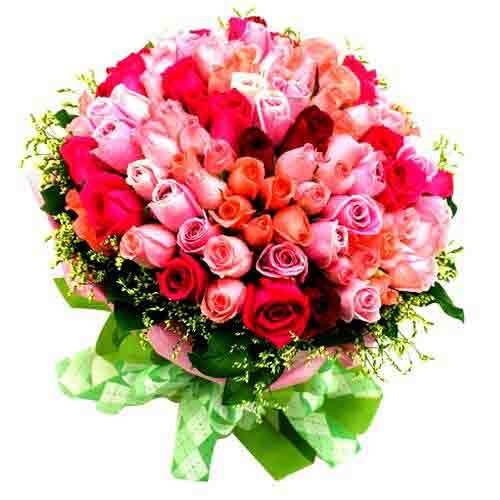 Offer your heartfelt wishes to your dear ones by sending them this Color-Coordinated Sweet Flower Inspiration Bouquet and make them feel special. 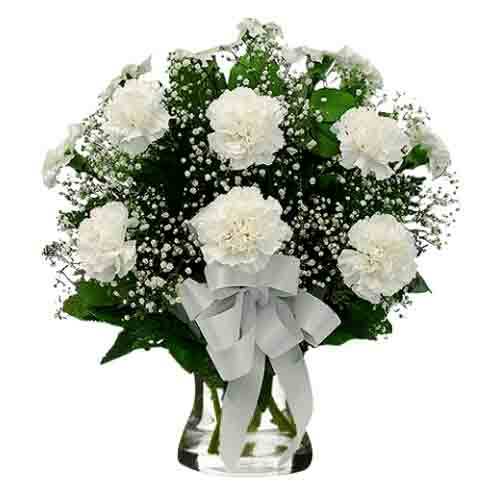 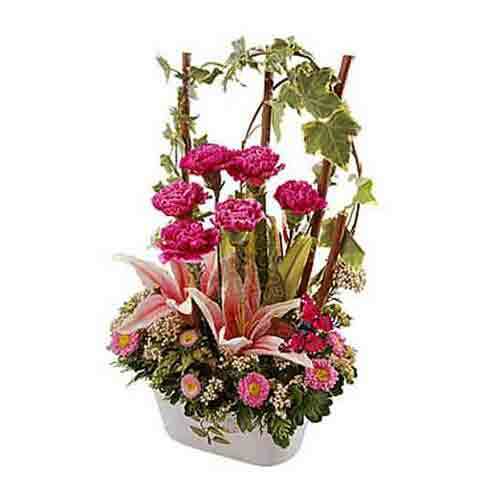 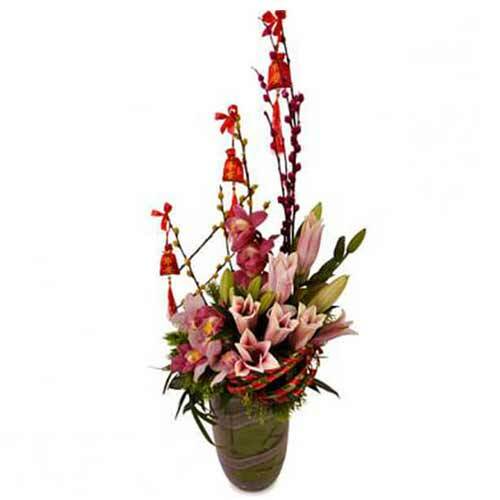 This bold n rich Bouquet carries Thirty Stalks White Carnations, Baby Breath, Ruscus Leaves and Tea Leaves.